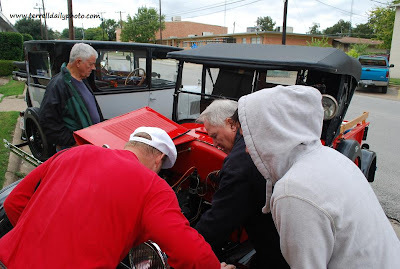 Yesterday the Lone Star T's brought their Model T's to Terrell. 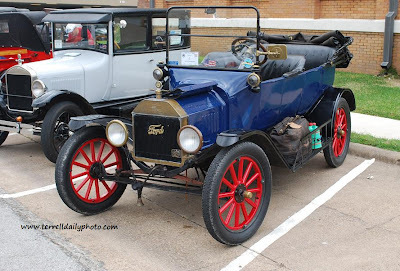 There were probably a dozen or so antique cars parked around the Terrell Heritage Museum. Brian, has a couple of pictures posted of the cars. I'll have another shot of the cars tomorrow. I also posted a few shots on flickr.